As I share my final experiences from #WEF2017, it’s a little bittersweet. But just like I said in my first blog, we are People of Action and not just words and good diction. In order to move the needle, we must fully commit to changing the world for good, one partnership at a time, in a responsible and responsive manner. I am optimistic and hopeful that by this time next year, there will be measurable impact borne from the meetings held these past few days. 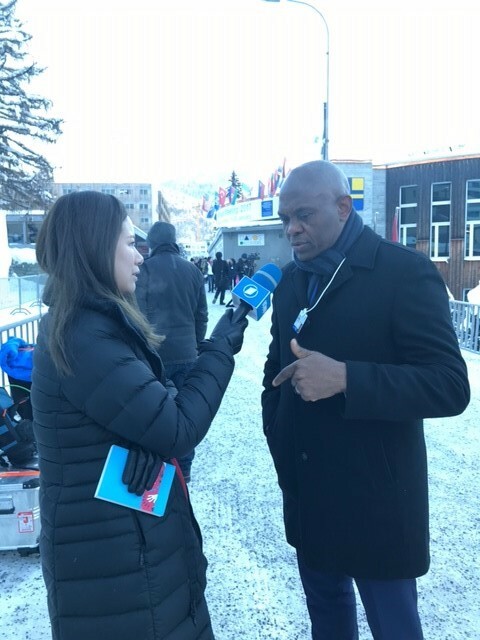 I’m excited to sow seeds of change and impact here in Davos, and look forward to the season of harvest where through these partnerships, access to economic opportunity is expanded and prosperity shared in Africa – I call this Africapitalism. Part of this mission is to bring more women and girls on board by breaking down barriers that reduce women participation in business and economic activity on the continent. 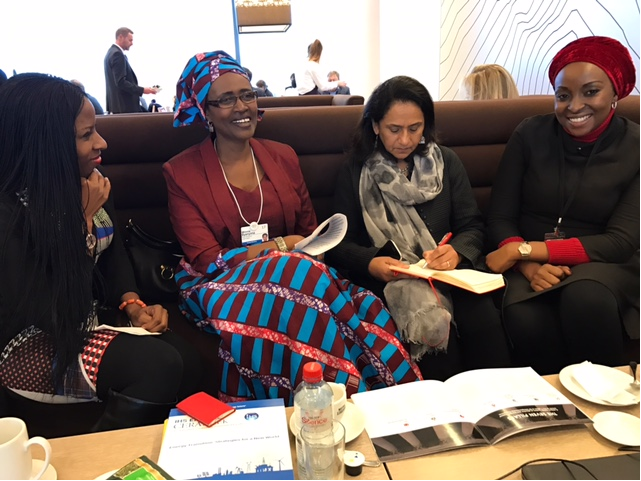 Figure 1: Oxfam CEO, Winnie Byanyima, brainstorms with our team Parminder Vir (CEO), Owen Omogiafo (COO) and Dupe Olusola (UBA EMDO’s Director) on means to enable more female participation in economic activity in Africa. 1. 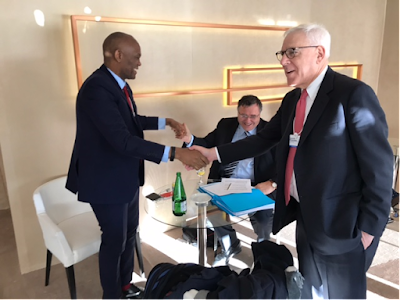 David Rubenstein, founder of Carlyle Group - one of the world’s largest and most successful investment firms with $169 billion of assets under management and Patrick Pouyanne, Group CEO of Total – one of the world's leading international oil and gas companies both recognize Heirs Holdings’ pan-African footprint across the strategic sectors in which we operate. We discussed business collaborations and new ways of doing business that benefit the majority and not just a few. Figure 2: Where oil, money and Africapitalism meet- with David Rubenstein, cofounder of Carlyle Group and Patrick Pouyanne, Group CEO of Total. 2. Mr. Frederic Oudea, Group CEO of French multinational banking and financial services company, Societe Generale, hosted me to lunch at his Davos apartment where we discussed how to invest in Africa not for the short term, but for the future. 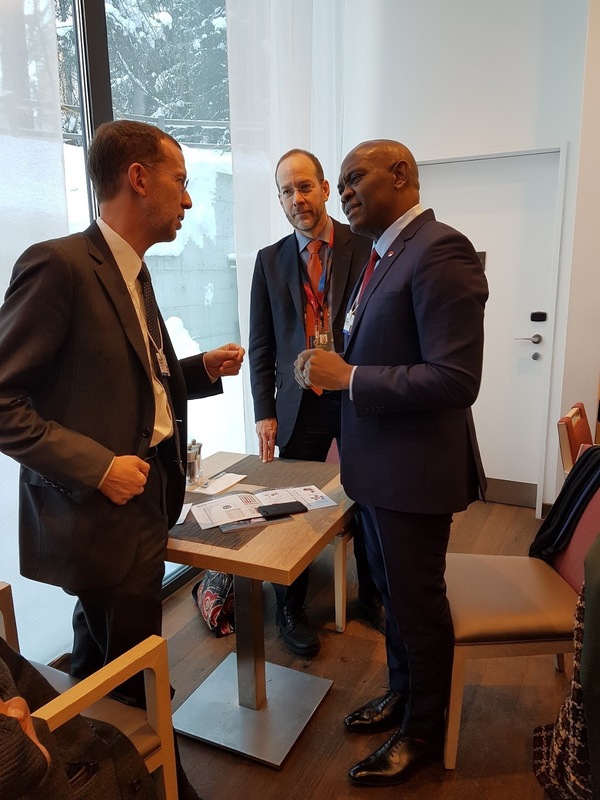 Figure 3: Promoting French-Africa business relationships with Mr. Frederic Oudea, CEO Societe Generale. 3. In recognition of the impressive performance of Heirs Holdings’ investee companies – Avon Healthcare Limited, Nigeria’s most trusted HMO, and Avon Medical, a top healthcare provider in Nigeria – my friend Stanley Bergman, Chairman and CEO of Henry Schein, one of the world’s largest providers of healthcare products and services, and I met to explore partnership opportunities between our two groups to advance healthcare delivery in Nigeria/Africa. 4. In furtherance to my commitment to improving access to electricity in Africa, Isabelle Kocher, CEO Engie – a world leader in electricity generation and distribution, natural gas and renewable energy – and I met to discuss a partnership to broaden access to electricity via renewable energy in university campuses across Africa starting with Nigeria. This will help our young students excel in their academic ambitions and fulfil their potential, as reliable power will mean that they spend far fewer hours struggling to study in the dark and more time reading in a conducive environment. 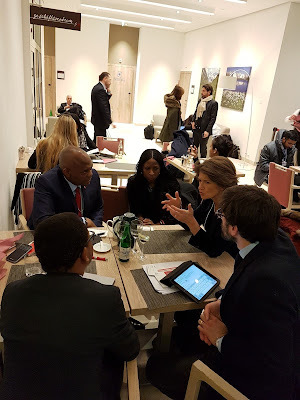 Figure 5: Working session with the Engie team led by CEO, Isabelle Kocher. Africapitalism advocates for the private sector to work alongside the public sector to make real change. We cannot achieve broad-based development if we work in isolation, confined to our own spaces and regions. The role of the public sector is to create an enabling environment – supported by incentives – to encourage private sector participants to invest long term in the economy. This role of the public sector is non-transferable as only government has the tools and capacity to build a business climate that is favourable to enterprise. I was pleased to catch up with policymakers – both current and past – who are living testimonies of what government can accomplish by working closely with the private sector. 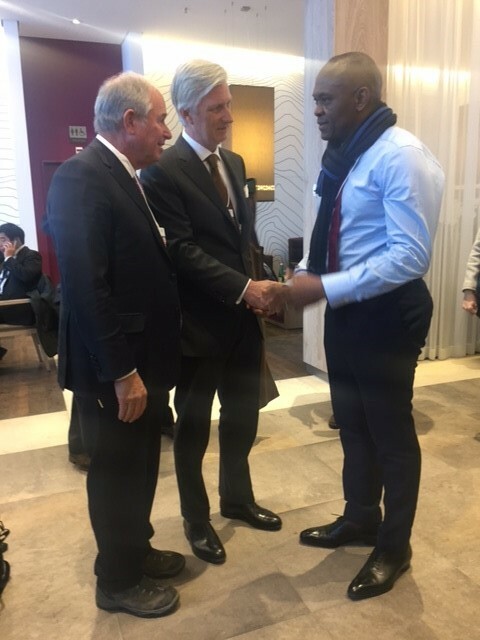 The King of Belgium, Philippe of Belgium; Prime Minister of Belgium, Charles Michel; and Stephen A. Schwarzman, CEO of leading global private equity firm Blackstone Group are leaders who have done a great deal to strengthen entrepreneurship and the private sector in Belgium, China and USA, it was a pleasure to discuss extensively with them. Figure 6: Felicitating with the King of Belgium, Philippe of Belgium and Stephen A. Schwarzman, CEO of Blackstone Group. 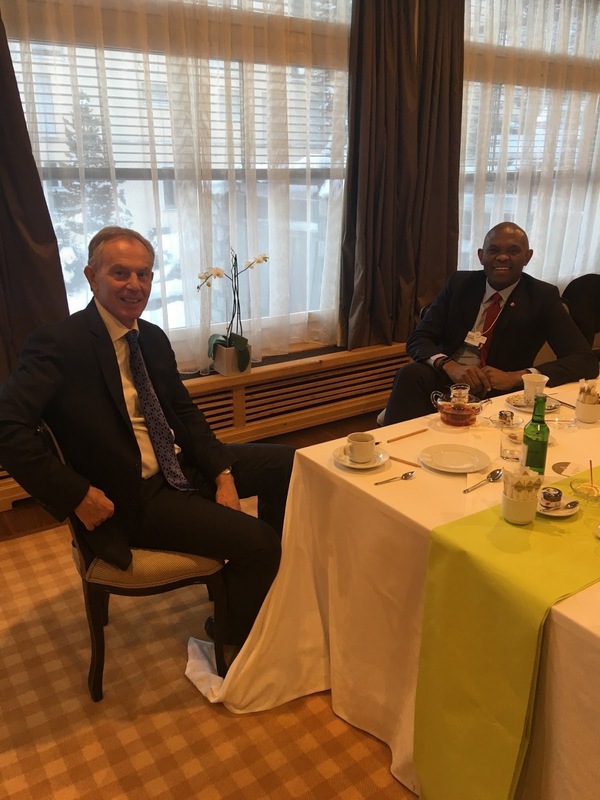 In line with WEF 2017’s theme of responsible and responsive leadership, I sat with Tony Blair to discuss good governance and how important it is to build systems of accountability and transparency. 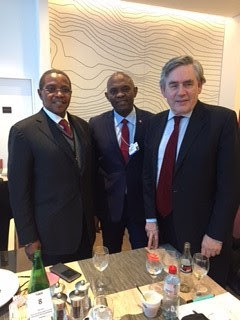 Gordon Brown, former PM of UK, and Jakaya Kikwete, former president of Tanzania, and I agreed that there are lots of opportunities in Africa. The focus should be how to convert our potential to meaningful impact that benefits Africa’s people. This can only be achieved with the right operating environment in place to attract capital. The private sector must also play its own role by identifying and investing in strategic sectors that add local value to the African economy. 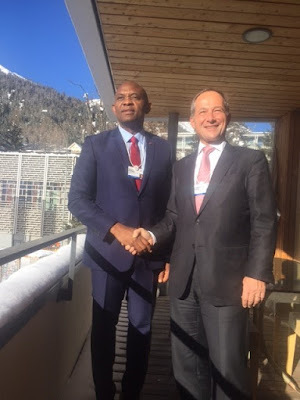 To discuss how to strengthen entrepreneurship in Africa, I had a brief chat with the Dean Elmendorf of the Harvard Kennedy School of Government, where I sit on the Global Advisory Council. 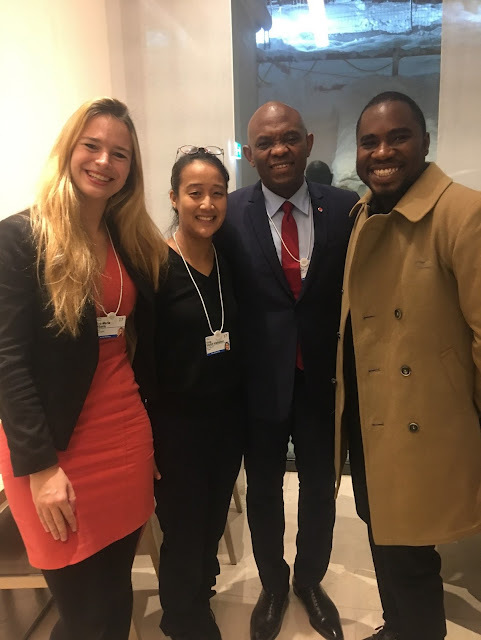 Figure 10: With three Global Shapers from Germany, USA and Nigeria. The UBA delegation, led by GMD Kennedy Uzoka, was also very engaged with fellow global business leaders. He conducted various meetings, attended sessions, and networked extensively. 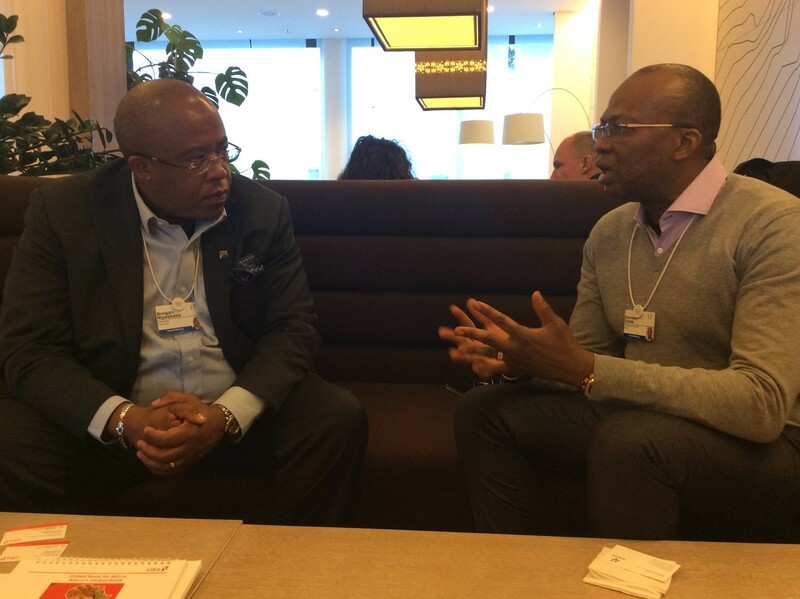 Figure 11: UBA GMD, Kennedy Uzoka, with President of Microsoft EMEA (Europe, Middle East, Africa), Michel Van der Bel. 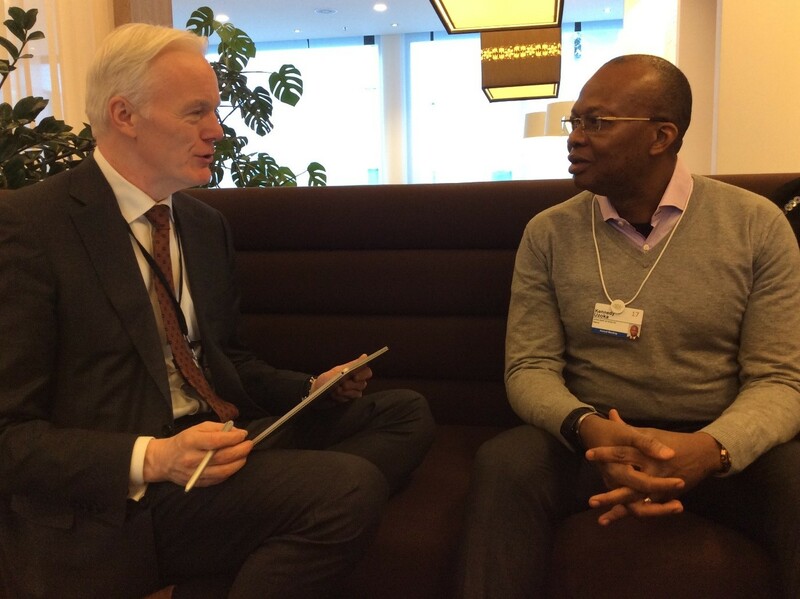 I ended my participation at this year’s World Economic Forum with two interviews that I hope to share with you soon. 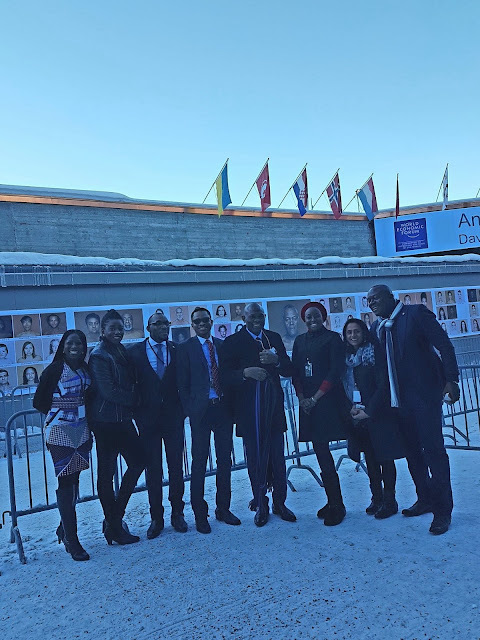 As always, I discussed some of my favourite topics – Africapitalism, entrepreneurship, investment in Africa and “catalytic philanthropy” – a new kind of giving that enables the recipient become economically independent instead of perpetually dependent. 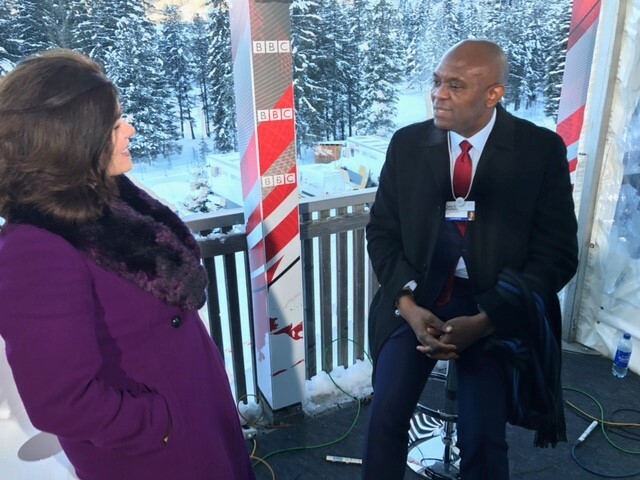 Figure 13: Sat down with BBC’s Tanya in the beautiful Davos Media Village. As WEF 2017 ends, I would like to appreciate my team who have truly embodied the HH DNA of the three E’s – Enterprise, Execution and Excellence. 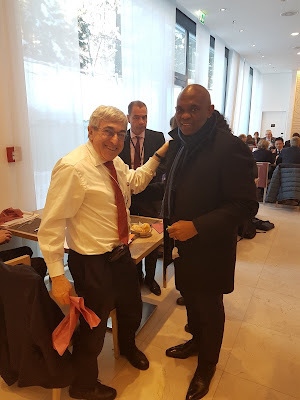 They were enterprising in closing deals for their respective organizations, they executed the planned agenda with precision, and above all, stood out in the way they conducted our affairs with flair and excellence. I am proud of all of them. A commander is only as good as his army. I always wanted to make an interview. In college I even managed to get scholarship using this and started my career.